See our green living tips on ways to go green. Not only can you help save the planet in your attitude to green living, but you can also save money at the same time. Why should we go green and conserve? We have plenty of resources right? Wrong! Here's a sobering statistic: Of all the earth's water, only 3% is fresh, and 2/3rd is locked away in ice. That leaves only 1% left to water the world! So it really is time to go green in your home and lifestyle. See what you can do to live a more eco-friendly way. Anything can be used in your home to go green, you just need a little imagination with what you can use to recycle into another use, other than what it was originally made to do. Use an old toothbrush for scrubbing dirt in those hard to get to places, particularly round taps in the bathroom. You can also put some toothpaste on your old toothbrush and clean the diamonds on your rings. When you go shopping try and use reusable bags instead of the plastic bags provided. Or, shop where they offer biodegradable plastic bags. If you bring home the plastic bags store them for further use, rather than throwing them all away. Recycle bottles, papers and plastics where possible. Where you can't, try and find an organization who will come and collect each of these items in bulk from time to time, or canvass your local municipalities to start a recycling rubbish collection system. For every 907 kilograms of paper recycled, 17 trees are saved from being cut down. You could also start another collection for aluminum tins. Recycling one aluminum tin can save enough electricity to light a bulb for 3 hours. Roll up old newspapers tightly, dip into a bowl of kerosene and allow to dry in the sun. Use instead of wood logs in the fireplace. Anything that contains a filter such as air conditioners, dishwashers and washing machines should be cleaned out regularly. Cleaning filters helps to reduce the energy it is using to power these machines. Look for green appliances when you go shopping. Computers and kitchen appliances that are green will reduce the energy used. A good way of telling whether they are energy efficient is to check the labeling on the product. Using hot water to wash your clothes costs around seven times more than a cold wash.
Avoid using ventilation fans in the kitchen and bathroom, as it sends out too much cooled air from houses that are using air conditioners to keep cool. Try not to use your air conditioners unnecessarily. Switch them off in rooms that you won't be using, especially areas like the living room of a night time. Cover cracks around doors and windows in areas that are being cooled by air conditioners. This will prevent the loss of cooled air, and keep the room cooler for longer. Change your light bulbs to more energy efficient fluorescent ones. These save 45 kilograms of carbon per light bulb and reduces your energy use by 50-70 percent. Don't forget to turn off your electronic devices such as computer monitors, printers and wall plugs. The waste adds up! Battery charges left plugged in waste up to 20 times more energy than they actually use to charge. Ever thought about solar power and living living off-grid? For the garden one of the best ways to go green is to use native plants as these conserve water. Use gray water from your washing machine where possible to water your plants. However, just don't use it on your edible plants. Avoid using on azaleas, gardenias, grevilleas and banksias. Water your pot plants with unfinished glasses and bottles of water. Buy rain barrels and water storage tanks to save the water that runs off your roof. You can use this water to water your garden. Grow a meal in a pot. 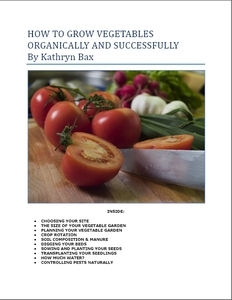 Grow eggplants with shallots, chives and basil. In winter grow coriander with lettuce. Chilies do well with a selection of Thai vegetables such as bok choy and pak choy. Combine a selection of lettuce varieties together with baby beetroot and baby spinach for a great salad mix. Grow herbs in old food cans with holes drilled in the bottom for drainage. Spray your plants with natural pesticides and insecticides. Encourage visits of insect-eating birds by providing native trees and shrubs. Use companion planting to reduce reliance on man-made chemicals and increase the productivity of plants. Save your kitchen scraps and old newspapers for the compost heap. Ways to Go Green - Forget the Gym! Use objects around the house for weights. Sand-filled bottles can be used as dumbbells. Use an old-fashioned skipping rope and skip on the spot. Run around the block every morning or evening. Or, if you want to meet new people find a local running track. Jogging for 1 hour will save 1,500 watts from using the treadmill. This is enough energy to light up a room for 15 hours! More ideas to reduce your ecological footprint. Do you know how big your ecological footprint is. Do you know? Use our carbon footprint calculator and find out. Add your own Green Living Tips and Ways to go Green Here! We have lots of pages where you can contribute to throughout this homesteading website. We love hearing from our readers, and hope you will be one of those we hear from too. Look around our homesteading website. If you have your own green living tips and ways to go green, please let us hear them.